A nationally recognized company, Explus is one of today’s exhibit industry leaders. Providing comprehensive fabrication services for museums and corporations, we have an outstanding reputation for being problem solvers and find effective solutions to each and every technical, financial and engineering challenge we encounter. Explus prides itself on the quality craftsmanship and commitment to service that we provide our clients. 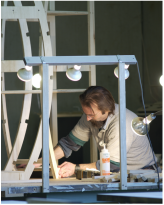 With expertise in exhibit engineering, woodworking and metalwork, graphics and artifact mounting, we develop and construct the designer’s creative vision into three-dimensional form. Our projects include custom, permanent, temporary, and traveling exhibits that cover subjects ranging from cultural, natural and military history, science and technology, to corporate, sports history and children’s environments. 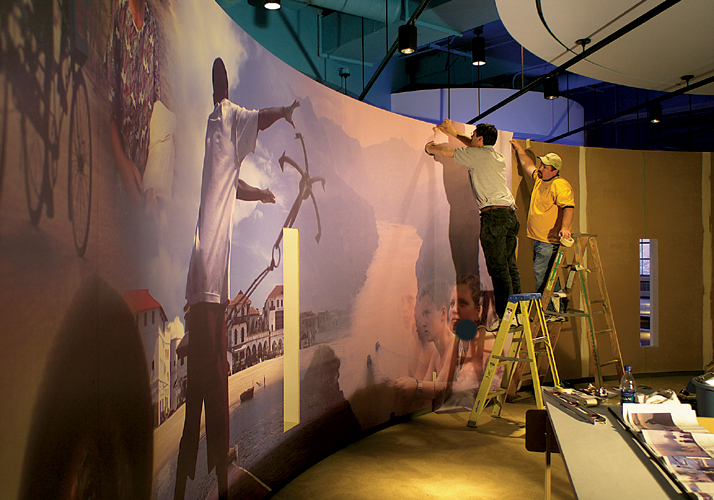 Explus offers a full range of in-house custom exhibit fabrication services and caters to a wide range of museums, institutions and corporations. Our extensive in-house, turn-key services allow us to provide the unique elements required for almost every museum exhibition we produce: custom casework with acrylic vitrines, custom glass cases, artifact mounting and artifact installation, creation of scenic and thematic environments, development and production of interactives, coordination and installation of audio-visual systems, and exhibit lighting. We operate out of a 52,000 square foot facility in Northern Virginia that is housed with a fully equipped fabrication shop and staffed with experienced, skilled technicians, talented artisans and craftsmen. In addition to our fabrication capabilities, Explus also works in a design-build capacity with a number of design firms. We currently maintain a number of working relationships with leading, nationally recognized firms.